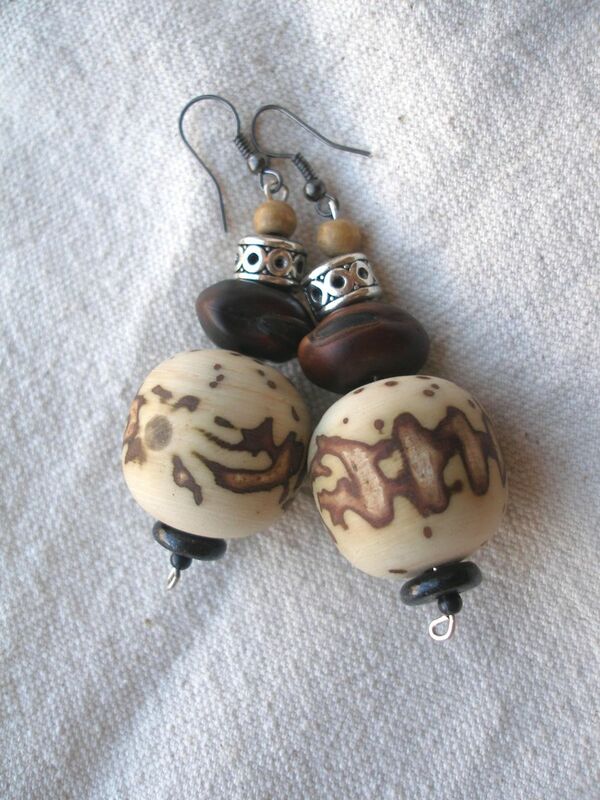 I use a lot of african seeds in my jewelry. I realise that there was almost nothing about them on internet . That's why i decided to write a post about it so people will know a little bit more about african seeds. Seeds are full of life and are the essence of a plant's life. Making ecofriendly jewelry,it was an intense work of research to find out about the different seeds i'm using in my work. From what kind of tree or shrub are they? All my questions found an answer after hours of search online. Entada Giga is one my favorite seeds. I discover the spiritual power of that seed:it brings love. It is also good to attract luck. The more i found out about Entada giga the more i loved it! it is obvious that there was an ancient knowledge about the power of that beautiful seed. It is called Sea heart or Wawa Seed…not surprised! The plant that produces those seeds Entada giga is part of the Pea family,Fabaceae,subfamily Mimosoideae. There are 30 species of trees,shrubs and lianas and 21 species are from Africa.